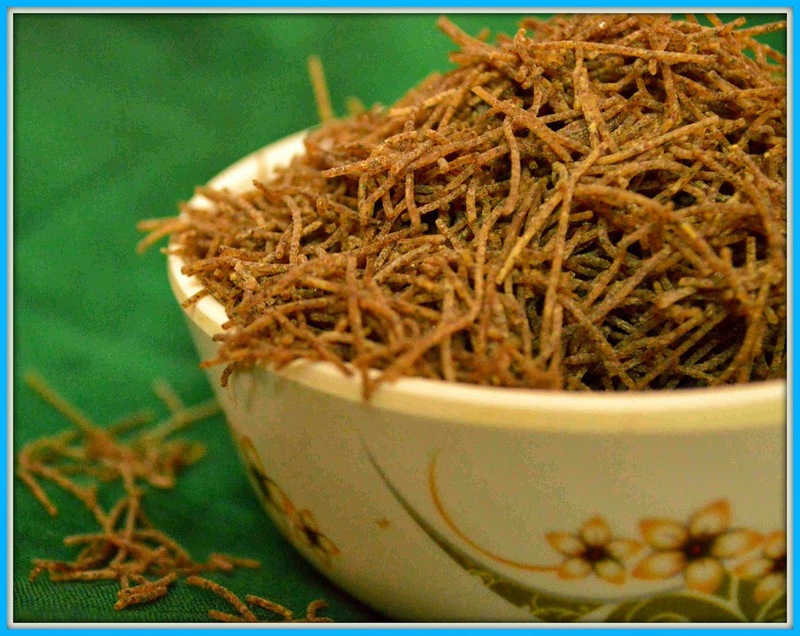 Ragi (Finger millet) has lots of nutritional value. It is rich in calcium and is good for weight control as well as diabetes. Ragi kanji is given to babies and also ragi is added in sathu mavu for elders. Comming to this Ragi Semiya....I saw this Anil Semiya packet in supermarket and bought it. 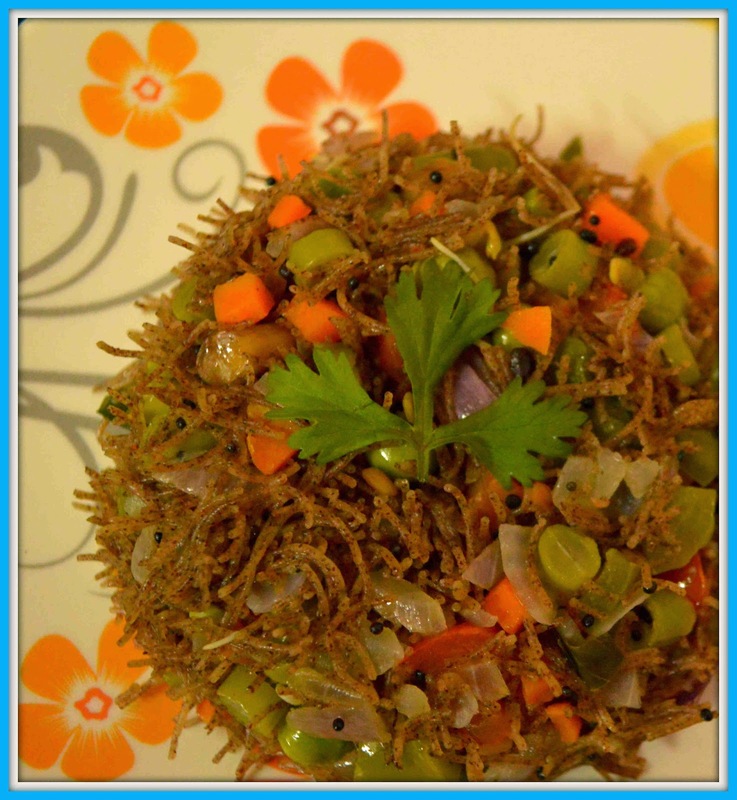 But it was sleeping in my storeroom for few days, I was little hesitant to make upma as I was not sure whether it will be delicious like our normal vermicelli upma. Finally the day arrived and I wanted to try this out. Wow to my surprise it tasted yummy and we all loved it. 1) Heat oil in a kadai and add mustard seeds. After it splutters add channa dal, urad dal, Asafoetida, peanuts and saute for few mins. 2) Add red chillies, curry leaves and ginger and saute for few secs and add the veggies and salt. 3) Add half cup of water and close the lid to cook the veggies. 4) After the veggies are cooked add the steamed Ragi Semiya and mix well. 5) Switch off the stove and garnish with coriander leaves. 1) Another variation in this upma is adding either lemon juice finally to get tanggy taste or you can add grated coconut finally to get some sweet taste.